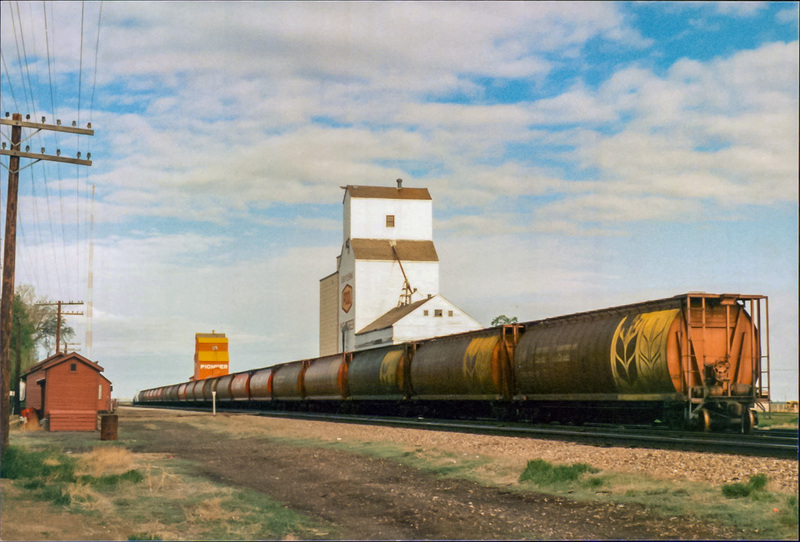 Grain elevators at Maple Creek, SK, May 1989. Copyright by Robert Boyd. The town of Maple Creek, Saskatchewan had two grain elevators in 1989 when the above photo was taken. 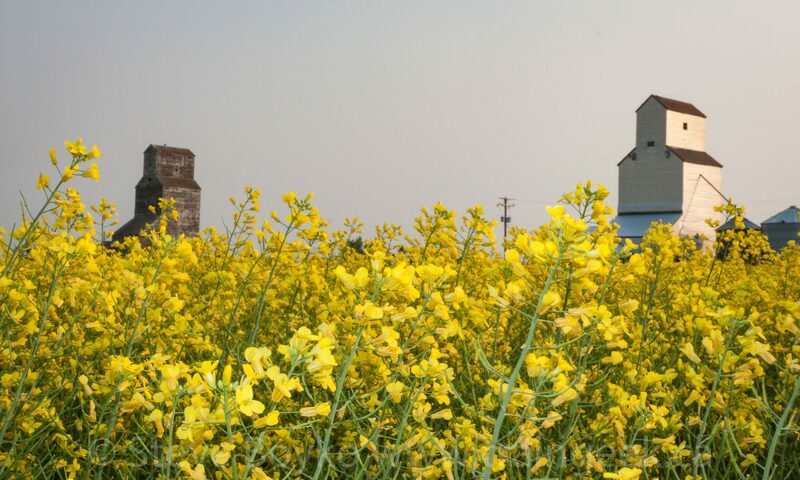 One was a Saskatchewan Wheat Pool elevator and the other was a Pioneer. 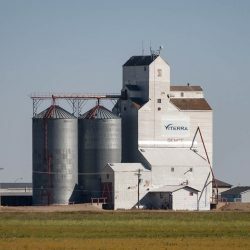 Today there is a large concrete Pioneer grain elevator in Maple Creek, but the wooden elevators are gone.